Mel Sherratt, who was born and lives in Stoke-on-Trent, will work alongside publisher HarperCollins and The Literacy Project to support our ongoing work in the city. We have been working to raise literacy levels in Stoke since 2016 through our National Literacy Trust Hub, known locally as Stoke Reads. Mel is the author of twelve crime novels, many of which are set in or based around Stoke-on-Trent. Her latest book, Hush Hush, is the first in a new series featuring DS Grace Allendale, who returns to her hometown of Stoke to pursue a murder investigation. As an ambassador for the National Literacy Trust, Mel will help to inspire students across the city to further their career aspirations and highlight the importance of literacy skills for success. 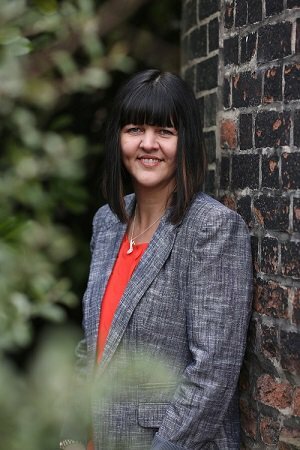 She will visit a number of secondary schools across Stoke-on-Trent to talk to groups of secondary school students and answer questions about her career as an author. She will also support the Stoke Reads BookBench trail when book-shaped benches decorated by local children will appear across the city next spring. The publisher of Mel’s books HarperCollins, in association with The Literacy Project, is supporting the our work in Stoke in a number of ways over the next year. This includes funding our Words for Work programme, which will see their employees go into secondary schools to help equip students with the communication skills they need to be successful in the workplace. Find out more about our work in Stoke-on-Trent.